1. Give a pint, get a pound of Dunkin’ Donuts Coffee. Throughout the month of January when you donate a pint of blood at an American Cross Blood Drive, you will receive a voucher for a pound of Dunkin’ Donuts Coffee! 2. Download the Dunkin’ Donuts App. After you download the Dunkin’ Donuts App, head to the offers tab to find sweet discounts on beverages and sandwiches. 3. Use Ibotta. 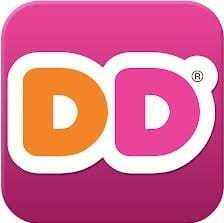 Dunkin’ Donuts just joined the Ibotta App (affiliate link), where you earn money for uploading your purchases. Simply spend $10 or more on one or multiple receipts, upload the receipt, and earn up to $1 back on your purchases. You are going to buy at Dunkins anyway, mine as well get a little back right? Do you have any tips or ways you save at Dunkin’ Donuts?